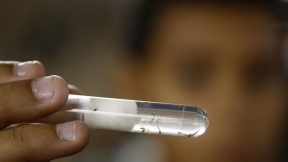 Cuba in late May reported its 12th imported case of the Zika virus, confirmed in a 41-year-old Cuban citizen who arrived in the country on May 10 from Guyana, where she had traveled on personal business, the Public Health Ministry reported. The patient, a resident of the western town of Güira de Melena, began showing symptoms on May 12, including “generalized rash, accompanied by muscular pain without fever,” the official announcement said. Upon going to the Pedro Kouri Tropical Medicine Institute, on the outskirts of Havana, she was evaluated and admitted and it was later confirmed that she had tested “positive for the Zika virus.” Minsap said that the patient “is currently showing no symptoms, is in good general condition, (with a) favorable prognosis and remains admitted.” To date, Cuba has reported 13 cases of Zika: one of them arising within Cuba and diagnosed in a young Havana woman who had not traveled abroad and 12 imported cases, including two pregnant Cuban health care workers and a female Venezuelan doctor who had traveled to Cuba to do postgraduate work.